Handy Vegas is a brand new Nektan casino with a difference. While they have something different to offer, they do stick with the features of all Nektan brands. Most noteworthy is the design and arrangement of games. At a glance, you would know that the platform is really handy. This means that you can easily play Handy Vegas from your tablets or mobile devices without any issues. As well, they inherit the dual UK and GRA license of all Nektan casinos. This means that Handy Vegas will also adopt the same approach in handling complaints from players. So, if you have enjoyed other casinos operated by Nektan, you can consider Handy Vegas as an upgrade. Therefore, this means better games; improved support; quality payment solutions among others. Not quite the free spin bonus you were after? Find all of our new free spins casinos here. In addition to the favourite games, there are a few other catalogues. Jackpots: Many of their selection of jackpots are currently on 6 figures. That’s a lot of money. So, if you are looking to hit a jackpot, Handy Vegas puts together a selection of some of the best jackpots. Examples include Top cat; Siberian Storm; Golden Goddess; Paws of Fury; Wolf Run; Divine Fortune; Winstar and many others. Live casino: Firstly, the croupiers are cute and interactive. Also, they offer a selection of immersive live casino games carefully selected from the best providers. Examples include Auto Roulette; Immersive Roulette; Blackjack Party; Blackjack; Baccarat Live; Football Studio etc. Whichever channel that you chose to use, the support team is responsive. Even though Handy Vegas claims to be available 24/7, it is not entirely true. The support team is available between 08:00 to 00:00 GMT. Handy Vegas offers plenty of payment methods. For example, they allow users to make deposits using Boku. However, using Boku does have a lot of attention. For example, Handy Vegas will not accept any deposit made from Vodafone. Also, if Virgin is your mobile service provider, Boku will not work. There are lots of other requirements and this applies to other payment methods. In the end, you get to make your choice. However, Handy Vegas has ensured that there is enough to choose from. Hence, they provide such payment methods as Neteller, Visa, MasterCard, Boku, Paysafecard, Zimpler, Trustly, Maestro och Skrill. So far, the payout speed is fast. It usually takes between 3 to 5 business days. Even more, as you rise up in the VIP level, it gets even better. Of course, the benefits of the VIP program are numerous. For example, players can only withdraw a minimum of €20 and a maximum of €2000 within a period of 30 days. However, VIP players get to enjoy improved limits. The games at Handy Vegas are selected from the best providers. They also use a Random Number Generator that has been tested and approved by both in-house and independent experts. As well, the GRA and UKGC do its periodic audit to ensure that Handy Vegas complies with the rules of fairness and transparency. So, if this sounds good to your ears, then you can check out Handy Vegas. 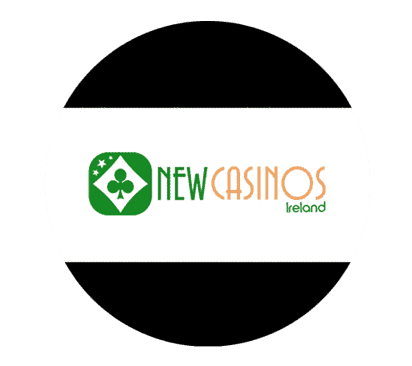 Be sure to check back at www.newcasinos.ie for the latest welcome offers.